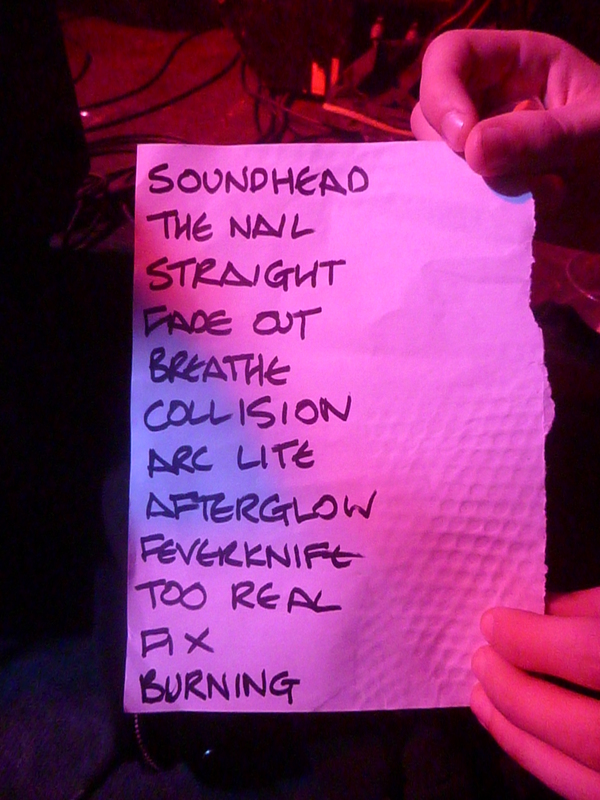 Highlights of the evening were Afterglow and Mother Sky (encore). Absolutely storming. Actually, The Nail Will Burn also rocked a rather phat one too. (I don’t actually need any of this stuff. I’ve got the records already and I haven’t bought a band t-shirt in about 20 years! 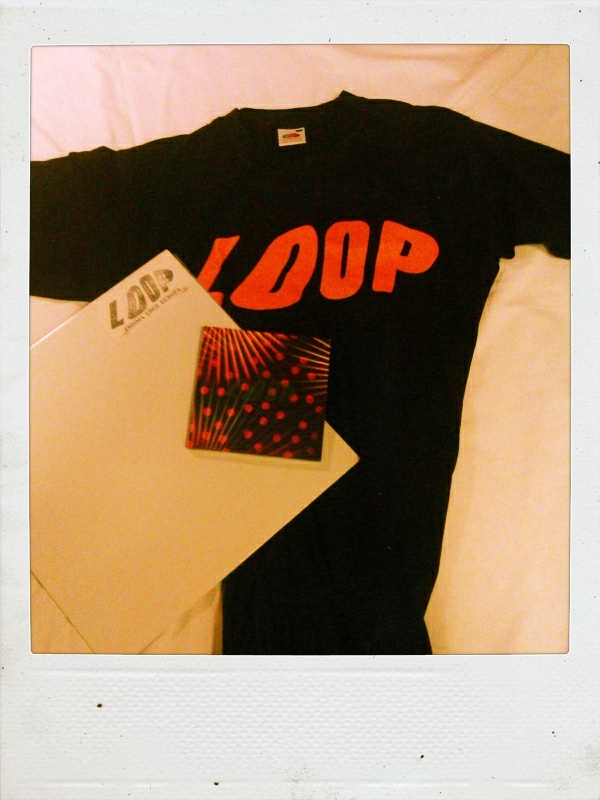 Loop have bludgeoned me into submission with their magnificent volume). This entry was posted in Loop, Music and tagged ATP, endofanera, Loop, nearly got killed, Neil Mackay, Robert Hampson, Scott Dowson, Soundheads. Bookmark the permalink. The venue (Bierkeller?) told me that morning in December 1990 that the gig was cancelled because of snow. Was it subsequently un-cancelled? Anyway, I didn’t go either, if that’s any consolation. Any maybe nobody did. I’ve no idea whether it went ahead or not. We were in a recovery vehicle on our way back to London! That does make sense though because the day before, we’d tried to get to the gig in Nottingham and got caught up in the maddest snow I’ve ever seen. 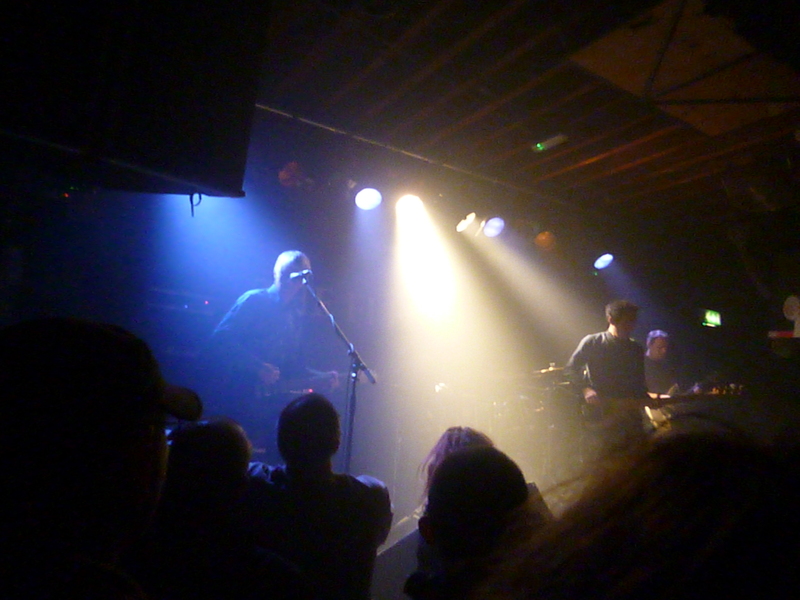 We managed to get there only to be told that that gig was cancelled because all the electricity had gone out. We ended up in a pub, with no electricity, but with an open fire. It was the Loop Tour of Dooooom. Well either way, Monday night made up for it. I’m getting my fill of Loop while I can. If they leave it another 23 years, I really will be too old! Were they selling the Prisma over Europa 12″ at ATP?!!! At Brighton, I had a feeling they had run out of some things for the merch stall. Two of the three badge sets and some of the tee sizes, for instance. I didn’t consider buying the releases (I already have most things) but would have reconsidered if I’d known the live release/s were there. I wasn’t at ATP (although when people were tweeting about Loop, I was regretting not going). They did have the 12″ at Bristol, but there was such a buying scrum that I wouldn’t be surprised if they’d sold out by the time they got to Brighton. I suspect that for many people it was just the sheer excitement of seeing them live again that caused the feeding frenzy. Hopefully they’ll get some more gear in and put it up for sale on the Soundheads site.